It's no secret that all of our kids love Yo Gabba Gabba. Nathan and I have every episode memorized, and our children can frequently be found dancing to songs like "Don't Bite Your Friends" and "There's a Party in My Tummy." So, when I saw these adorable pajamas at Walmart for $5.97, I just had to buy them! 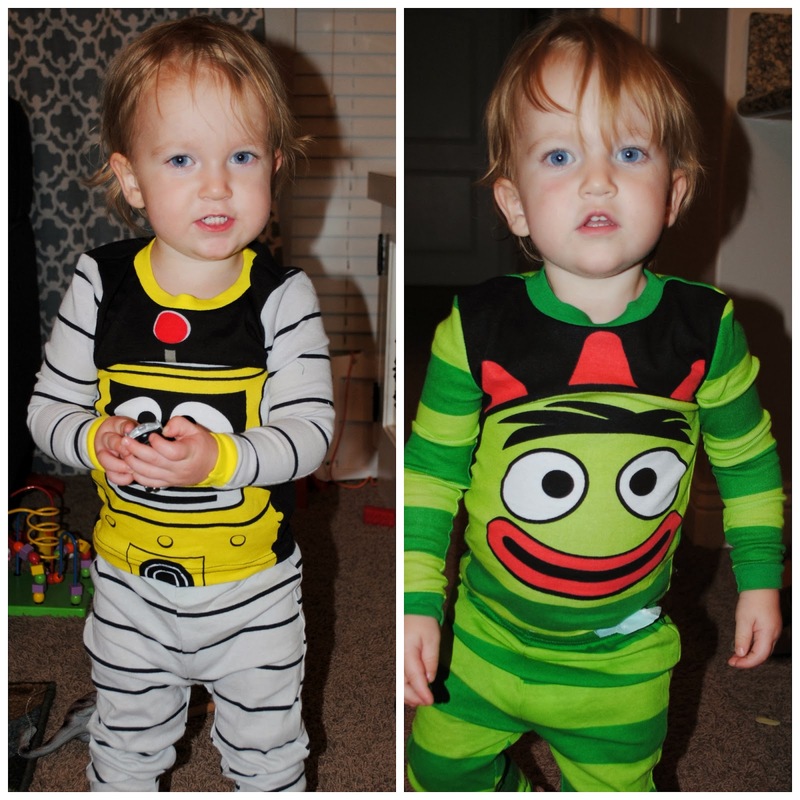 Ezra and Elliott were so happy to put these pajamas on! Eliza didn't want to feel left out, so she ran and put on a Yo Gabba Gabba t-shirt. Our kids all dancing around to Yo Gabba Gabba makes me really happy.